Friday, July 13th won’t be as unlucky as everyone thinks, considering that the Napa Valley Festival del Sole begins. 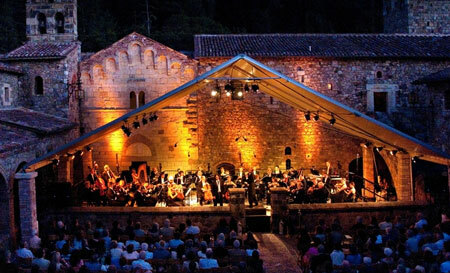 This Festival features an exquisite 10-day pairing of world-class artistry, exclusive food and wine events, wellness programs and premier lifestyle experiences. Set against the idyllic backdrop of Napa Valley, Festival del Sole offers a multitude of intimate and unique settings for audiences to experience the world’s luminaries of music, dance and theater, as well as the extraordinary cuisine and wine that have made the Napa Valley one of the world’s finest lifestyle destinations. Some performances are free, while others you will need to purchase tickets. Among the artists performing this season are violin superstar Joshua Bell, famed mezzo-soprano Susan Graham, sopranos Danielle de Niese and Lisa Delan, baritone Nathan Gunn, cellist Nina Kotova, guitarist Angel Romero, pianist Hélène Grimaud, the Russian National Orchestra, and dancers from the Bolshoi Ballet. Festival del Sole highlights also include: the Napa Valley premiere of 24 Hour Plays, a feat of extreme theater that involves writing, rehearsing and performing a series of plays in just 24 hours. A-list actors appearing in this event include Naomi Watts, Liev Schreiber, Chris Noth and Hugh Dancy. Additional performance highlights this year include the return of the popular Bouchaine Young Artist Series. 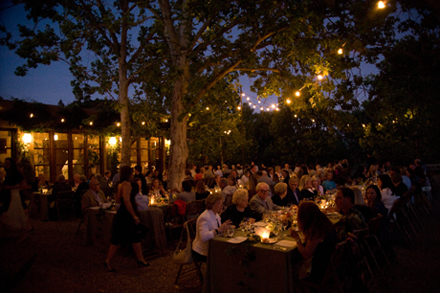 The exceptional entertainment is accompanied by an array of epicurean experiences that feature the legendary hospitality of nearly 40 of the Napa Valley’s finest wineries, estates and restaurants. Throughout the festival, guests may choose from a variety of unparalleled food and wine experiences ranging from intimate dinners at private wineries to outdoor Vintners Luncheons to tastings and samplings. As you plan your excursion to this incredible event, questions of which attire to pack may arise. For women, a nice summer dress and a sweater will suffice. For men, a polo shirt, nice slacks and a jacket. Layering is key; it is nice during the day, but as the sun begins to set, it will get chilly. If you’re coming in from out of town and need a place to stay, the Festival is partnered with a multitude of hotels and resorts that offer great deals for attending guests. There is also a valet service provided for those who think they might have had a little too much wine. There are a variety of passes for purchase. Single ticket prices start at $39. The VIP Pass allows access to gala dinners, special activities and first-class seating for performances. We think the Allegro Pass is the best deal! For $197 per person, per day, you will be given access to premium concert tickets, receptions, and after parties. It is a wonderful chance to meet others who share the same interests while enjoying delicious food and wine. You can visit the box office here to view a list of all events and prices. Whether you plan to visit just for the day or lucky you, the entire 10 days, the Festival del Sole is an event not to miss. Performances will leave you inspired, the food and drink bountiful and the valley folks good-natured.